At today’s lesson we learned how to ‘tasou’. This is about dressing other people in a kimono. 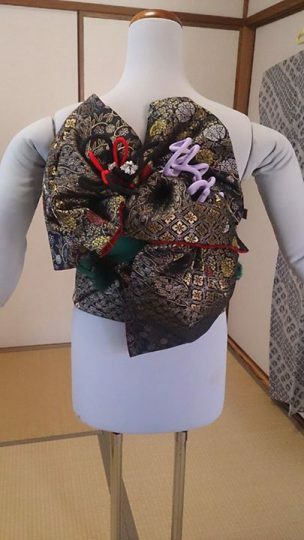 Putting on a kimono is a highly customized process, as for example, the padding worn underneath must be selected and adjusted according to each individual wearer’s body type and shape. I’ll keep at it so I can dress the people around me in kimonos!